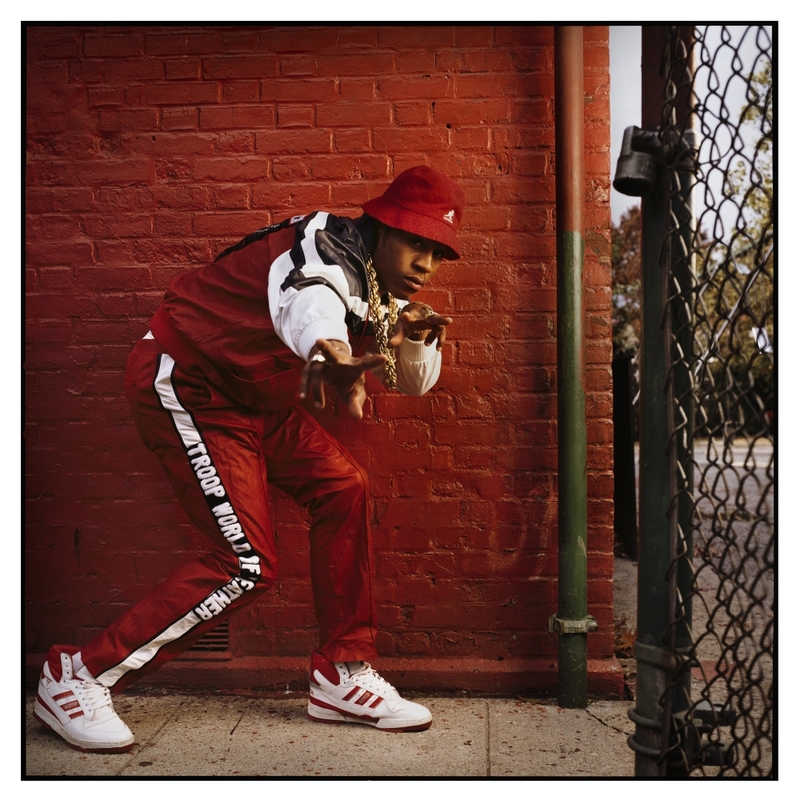 In 1987, on one of his first assignments for Rolling Stone, photographer Mark Seliger arrived at the Queens home of LL Cool J to find a startled grandmother waving a broom, while the rapper himself was still asleep inside. This is but one of the countless anecdotes Seliger would amass over the next three decades, during which time editorial assignments and personal projects led him to photograph everyone from President Barack Obama and the Dalai Lama to New York’s transgender community and the last remaining Holocaust survivors. His images document actors and musicians as they defined popular culture, as well as human rights activists and political and spiritual leaders who have shaped history. A new book, Mark Seliger Photographs (released on May 1st through Abrams Books), brings together the photographer’s most iconic works of the last 30 years, a selection of which is on view at Chase Contemporary Galleries in New York through July 4th. We recently spoke to Seliger about the stories behind some of his most significant and moving images from this collection. Below, we share his recollections of eight of these photographs. “This image of Kurt Cobain is from a session that was taken two months before he passed. It was for an article in Rolling Stone about the making of In Utero. This particular image feels more or less like a portrait but in a still life situation, with these antiquated doll heads on a shelf behind this cascading wall of red roses. I was doing a cover and multiple images and it was just an idea I had—a stream of consciousness for the most part. “I have worked with Jerry probably since the beginning of Seinfeld. This image is part of a series of photographs we did for the farewell of Seinfeld. Jerry had this great idea for the characters on Seinfeld to each play a character from the Wizard of Oz, which makes a lot of sense if you look at the characters and their personalities. “This image is from my book In My Stairwell, which is set in an elevator shaft in my studio that we uncovered when we were dismantling the original elevator, which had been used as part of a horse stable. It exposed this beautiful, top-lit area, almost like an old artist atelier. “Obama was a really unique experience. We were doing a few photographs, we had six minutes, and in the back of my mind, the image I wanted to take away—if I have one session with somebody, I always think about what’s the great image for me—was a portrait from the front, side, and then, a photograph of his back. “The Dalai Lama was an amazing session. He was speaking and holding a prayer session at a convention center in Washington, and I’d gotten the assignment to photograph him. We were given certain requirements of what to do and what not to do, and we only had 10 minutes: He would come into the session with a group of monks that travel with him and take care of him, and I was told we couldn’t use flash, we had to use available light or continuous light; I was not to ask him to take his watch or glasses off; he did not particularly want to have a posed portrait; and I was not to shake his hand. “The day before, we had been in New York setting up a pretty focused situation for him to pose in. I knew that I wanted to shoot 4x5 in continuous light, so it was going to be a fairly posed picture. I knew that would be the moment. “I came in and the first thing he did was he reached out to shake my hand, so already I was like, ‘Oh, okay, the guy does shake hands—His Holiness does shake hands.’ I started to do one particular situation and then the next, which was the portrait we used for the issue, and also the show and the book. I asked him if he wouldn’t mind removing his glasses and his watch, which he did, and he sat for the somewhat posed portrait. The end of the story is I had a bunch of very upset monks with me, but we got a beautiful photograph of the Dalai Lama. “I live on Charles Street, and on occasion, I would pass by Christopher Street and see that the theater of that street was being taken over by all the new business coming into the West Village. The far West Village had, for a long time, been a bit of a Wild West, with a lot of nightlife and people running around, and people from outside of New York City that would come and hang out on the piers. I saw it sort of evaporating. I decided I would try to document some of the interesting storytelling on that street, so I would go up to people and ask if I could take their portrait. The first series of portraits touched upon the idea that this was actually more of a story about the transgender community. That led to photographing probably 100 portraits. “One image, which is interesting in terms of the story, is of a woman I photographed while walking; I would walk the streets from dusk through nighttime from the piers through Christopher Street. We saw this commotion near the piers where a pretty big crowd had assembled. They were all looking over the side of the piers, and the police department and fire department were there, as well as a helicopter. We found out that there was a police crew of scuba divers who were actually pulling somebody out of the water who had jumped off the pier. We pretty much had finished our session that night after we saw this.